Desc: Sterling Silver horse pendant. The horse is trotting and looking to the side. 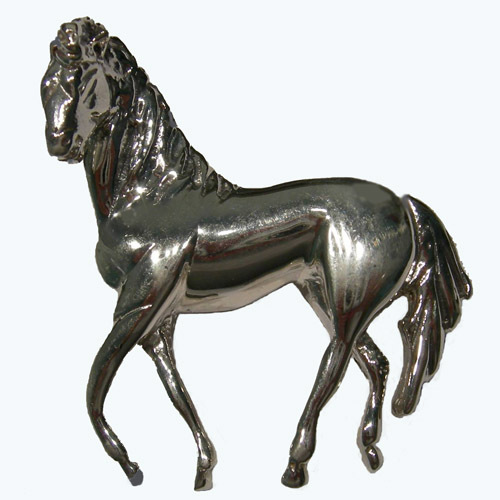 The body of the horse has a bright polish finish.